The SDP candidate in an exclusive chat with Revelation Agents Online News said “I will bring development to my constituency through effective legislation intervention in Education,Health,Employment and Security”. On the area of employment Hon Ñwanme said “I will sponsor bill that will ensure that companies and establishment in my domain carry out policy of local content to the letter and honour existing memorandum of understanding between them and their host community”. 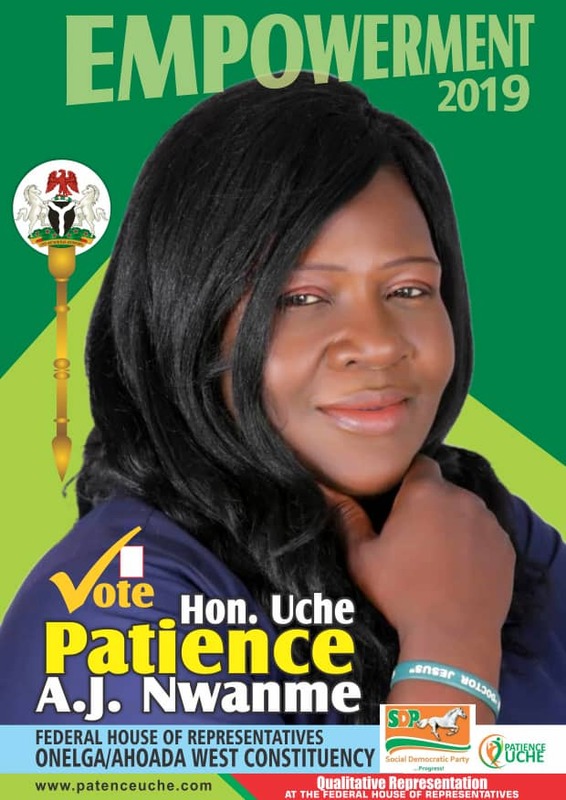 The SDP Federal House of Reps candidate revealed that She will meet with the people of her constituency on regular basis to brainstorm on particular skill acquisition programmes that will be suitable for different categories of persons like the disabled persons,widows etc. She said”Women empowerment will be one of my main area of concentration,I will initiate viable skill acquisition programmes to empower women so that they can assist in the financial growth of their families”.